CO Eric Benjamin (Warroad) worked boat and water safety, AIS, angling, ATV enforcement, bear and migratory waterfowl. CO Benjamin (with neighboring partners) met with staff from DNR Forestry/Wildlife, Beltrami Island State Forest and Hayes Lake State Park in order to discuss the issue of illegal permanent stands and left behind personal property on state land. Early goose opened over the weekend with heavy fog kicking it off, although some hunters let that get them down, several others made the best of it. None of the hunters checked had limited out but some of the groups still did quite well despite the weather. Enforcement action taken this week included failure to display valid ATV registration, operating an ATV with a passenger under the age of 18 not wearing a helmet, hunting migratory waterfowl without a federal stamp, taking migratory waterfowl with a shotgun capable of holding more than three shells. CO Nicholas Prachar (Baudette) reports a very busy bear opener and early goose opener. CO Prachar has seen some large flocks come through Lake of the Woods County but notes that they are varied and sporadic. 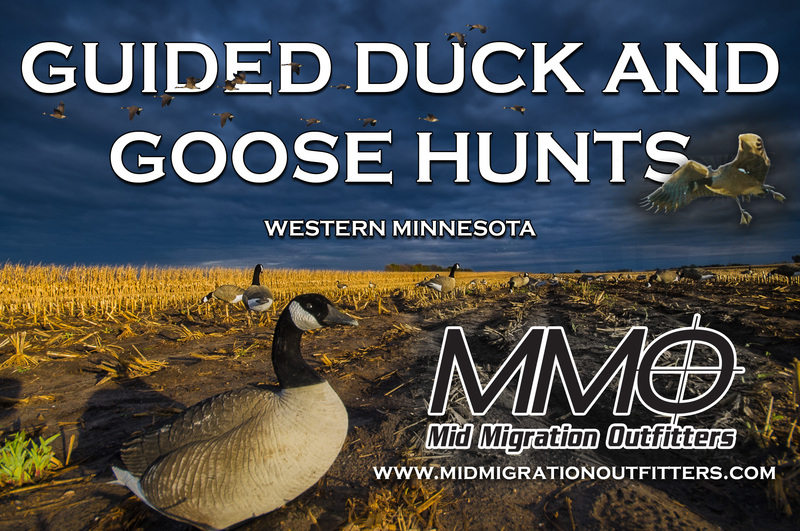 With cooler weather in the coming forecast numbers of geese migrating through should increase. Many hunters were checked and enforcement action was taken where appropriate. Violations included illegal ATV operation, failure to display current registration, unplugged shotgun while hunting migratory waterfowl, and numerous state and federal stamp violations. CO Jeremy Woinarowicz (Thief River Falls) continued to monitor bear hunting activity in the area, assisted State Patrol with an impaired driver, and provided a ride along opportunity for a law enforcement candidate. Enforcement action included fail to register bear bait, bait bears without a valid license, no helmet on juvenile ATV passenger, operate ATV in WMA, open alcohol container on ATV, and burning tires prohibited. CO Demosthenes Regas (Blackduck) reports monitoring wild rice harvest bear baiting and hunting activity, ATV trail activity, early goose hunting, boater AIS compliance and boating / angling activity on special regulation lakes throughout the week. CO Regas worked the busy Labor Day Holiday with many anglers and boaters taking to the water with the late season hot weather. Time was spent working with the local gov’t unit (LGU) on an ongoing wetlands violation and restoration order. Enforcement action for the week included angling without license, no throwable lifesaving device, and ATV registration violations and hunting without license/state and federal waterfowl stamps in possession. CO Tom Hutchins (Crookston) reports working the bear and early goose openers. Time was also spent checking anglers, ATV operators, watercraft operators, and working AIS enforcement on area lakes. A few dove hunters were also checked. Various fishing, AIS, and hunting related violations were found this week. CO Tim Gray (Bagley) checked goose and bear hunters. He also monitored the last days of recreational boating on area lakes. CO Gray assisted at the Conservation Officer Academy. CO Brice Vollbrecht (Bemidji) worked a busy Labor Day Weekend. Boaters were out enjoying the warm weather, while early season goose hunters were not as happy about the weather. There appeared to be fewer early goose season hunters and goose numbers in the area appeared to be down. Several groups were checked and hunters are reminded to get their HIP certification. CO Vollbrecht patrolled area lakes and ATV trails. A small youth size ATV was stopped when the officer observed a youth operator without a helmet and two youth passengers not wearing helmets. It was determined the operator was only eight-years —old and decided to go for a ride without telling dad. After maneuvering some equipment the ATV, the children were loaded and transported back to their residence after failed attempts to contact the parents. The officer and children arrived at their residence to find an angry dad waiting for them on the deck. The dad had woken up from a nap and discovered the ATV and kids missing. The importance of wearing helmets and following ATV regulations was explained to the children. No tickets were issued, but video game privileges have been revoked by dad for the time being. CO Vollbrecht assisted with scenario day at Camp Ripley for the ongoing academy and completed CPR/First Aid Training at annual in-service training. CO Brian Holt (Bemidji) worked bear hunting and goose hunting. ATV activity in the Mississippi Headwaters State Forest was also monitored. Time was spent checking AIS compliance around Itasca State Park. Enforcement activity included ATV registration and safety violations. CO Chris Vinton (Perham) reports assisting with the potential new Conservation Officer interviews at Camp Ripley. Interviews ran for four days with as many as seven panels and up to seven interviews a day. Lots of good applicants were interviewed. Anglers, boaters and dove hunters were all contacted over the long holiday weekend. CO Al Peterson (Osage) worked bear season opener and assisted with academy training. Bear hunters gave mixed reports with the acorn crop beginning to fall on opening day and before. Enforcement action was taken for un-registered bear bait. CO Gary Forsberg (Pelican Rapids) spent the week working fishermen and early goose hunters. The early goose season was the poorest seen in several years with no geese around and few hunters out. Time was also spent working dove, rail and snipe hunters. Complaints of illegal burning, watercraft operating after dark without lights, injured animals and illegal transportation of vegetation and zebra mussels were looked into. Assistance was also given to the Wilkin County Sheriff’s Office on a residential break in. CO Angie Warren (Detroit Lakes) worked angling and boating activity. Time was spent monitoring ricing and bear hunting activity. ATVs were worked on area trails. CO Warren investigated complaints of possible AIS illegal activity including a boat transporting aquatic vegetation and zebra mussels. Follow-up was conducted on open public waters violations. A complaint of harassment of a deer swimming in a lake was received, the public is reminded to give wildlife space as chasing wildlife with a motor vehicle is illegal and can harm or contribute to the death of the animal. CO Bill Landmark (Moorhead) spent the week monitoring bear baiting, goose hunting, angling, AIS, and boat and water safety activity. A few goose hunters were out, but there appeared to be even fewer geese in the area as hunters reported a very slow opener. The officer encountered several boats with weeds on the trailer and would like to remind everyone to “clean, drain, and dry” their boats as they pull them for the year. Enforcement action was taken for unplugged gun, no federal stamp, no state stamp, angling without license in possession, juvenile under 18 without a helmet on an ATV, and transporting aquatic vegetation without a permit. WREO Joe Stattelman spent the week working on WCA and PW issues. Time was spent at camp Ripley instructing at the academy. Two AIS work crews were attended and AIS was a main focus of patrol. Fishermen were checked. Shots fired close to a public access were investigated. It was found that two neighbors had been shooting a bee hive out of a tree. As CO Stattelman explained the danger of where the pellets may fall due to the large number of people in the area and on the lake, two neighbors pulled up and informed the shooters that their wives and children had just been rained on by falling pellets on their deck and ran into the house for cover. At least three rounds of pellets hit their deck. The shooters quickly realized their mistake and quickly apologized. Assistance was given to the Otter Tail Sheriff’s Office with a shooting. CO Troy Richards (Fergus Falls) reports an active week and a busy Labor Day Weekend. Goose hunters, anglers, boaters, and ATV’s were checked. Goose hunters were wondering where the geese went with very few observed in the bag. Richards observed the fewest geese and possibly the fewest hunters compared with recent years. Anglers were out in force and a lot of nice catches observed. Enforcement action was taken for angling, ATV, Waterfowl, boat safety, and PWC violations. CO Paul Nelson (Elbow Lake) checked fishermen, boaters, goose and dove hunters. Complaints were handled of trespass (shooting too close to buildings) and destroying bulrush in public waters. Assistance was given to a vehicle in the road ditch. Additional time was spent on AIS enforcement. CO Shane Osborne (Evansville) checked mourning dove and goose hunters for the regular early goose season. Osborne was surprised at the lack of geese observed while out checking hunters. Bear hunting complaints were investigated and enforcement action was taken for unregistered bear baits, operate unregistered ATV and operate an ATV in a wildlife management area. CO Tony Anderson (Morris) focused on dove season opener, September goose season opener, angler activity and AIS law compliance. Warm weather kept hunter numbers down. Anderson received and investigated a TIP complaint about illegal hunting in the vacant Wheaton station as well as illegal dirt bike operation. Minnow transportation permits were reviewed and issued as well as questions answered from the public regarding use of crossbows, deer baiting and waterfowl hunting. CO Daniel Baumbarger (Glenwood) reports enforcement efforts for the week included checking fishermen, dove hunters, goose hunters, and monitoring AIS compliance. Additional time was spent teaching laws and rules at a firearms safety class in Alexandria, and teaching fishing and commercial enforcement to the new recruits at the academy. Participation in the early goose hunt was down from past years, but warm weather brought out a lot of fishermen and boaters for the Labor Day weekend. CO Paul Parthun (Lake George) worked a very busy Labor Day weekend, checking early goose hunters, bear hunters, ATV riders, and anglers. A special AIS detail was worked. Enforcement action was taken for operating an unregistered ATV, possessing an uncased firearm on a game refuge, failure to register a bear bait site, camping at a public access, trespassing, no HIP certification and no license in possession. CO Greg Oldakowski (Wadena) reports bear hunting activity taking place even in the warm weather. A TIP was received on a band of bear hunters but there was no violation. AIS issues were addressed with enforcement action being taken primarily on drain plugs being left in the boats. ATV enforcement was also worked with wetland type issues being addressed. The September goose season saw limited participation and few birds being taken. CO Mark Mathy (Cass Lake) spent the majority of the week teaching fishing laws and patrol methods at the academy. Bear hunters, goose hunters, boaters, and anglers were also checked. Enforcement action was taken for angling, boating, and waterfowl violations. CO Duke Broughten (Longville) spent the week focusing on angling, ATV, ricing, and boating activity. Angling success was poor. Rain over the weekend limited recreational boating activity. CO Broughten spent time checking compliance with invasive species laws. Bear hunters in the area report poor success. CO Broughten fielded calls of a sick pelican, nuisance bears, dead loon, and persons cutting aquatic plants. Enforcement action included no angling license in possession, operating an ATV on roadway, and ATV passenger under 18 without a helmet. CO Colleen Adam (Rec Specialist) spent the week preparing reports for court meetings with county attorneys for upcoming court cases. Checked bear hunters and illegal cross country travel to bait and refresh bear baits. Reminder, cross-country travel or off-road/trail is allowed only for retrieval of legally harvested big game animal by a licensed hunter in the month of September. Officer Adam also found recreation trails being fully utilized by enthusiasts on the last official “summer” holiday weekend. CO Darrin Kittelson (International Falls) reports a busy week with bear hunting opener with lots of bear being taken so far. Fishing, boating, invasive species, and ATV activities on Rainy Lake, Lake Kabetogama, Namakan Lake, and Rainy River were also busy with lots of people out enjoying the holiday weekend. Enforcement action was taken for illegal length sturgeon, failure to validate sturgeon tag, transport unmeasurable and unidentifiable fish, no angling license in possession, illegal ATV operation, and transport of a loaded firearm. The week was rounded out by giving the laws portion of a presentation to a young trapper’s education class. CO Jim Van Asch (International Falls) spent the week monitoring angling, bear hunting, and ATV activities throughout the surrounding areas. Bear hunters were found having a high success rate for the first few days of the 2015 season. CO Kittelson and Van Asch also spent time attending a trapper’s education class. Students were given lessons on ethics, laws, and techniques both in the classroom and a field setting. The end of the week also concluded the holiday weekend for many individuals. The holiday travelers had to endure a wide range of weather activities and slow fishing on area lakes. Enforcement action was taken for allowing illegal operation of an ATV, unlawfully transport a loaded firearm, no angling license in possession, failure to validate sturgeon tag, possess/transport unmeasurable fish, and failure to remove drain plug. CO Troy Fondie (Orr) reports monitoring area lakes, checking public access sites, patrolling area forest roads and responding to questions from the public. Equipment work and computer data entry rounded out the week. CO Marc Hopkins (Tower) reported that bear hunting opened this past week, and it seemed that there was good success in the area. The September Goose season opened as well, and the officer saw a few geese being taken. The officer investigated a possible illegal bear taken, but it proved to be an unfounded complaint. The officer also investigated hunter harassment, illegal posting of public land, a hunting stand in state park, illegal bait stations, and illegal hunting of beaver. The officer also responded to a moose killed by a vehicle. CO Don Bozovsky (Hibbing) worked bear and early goose openers, anglers, state park enforcement, ATVs, and invasive species. Early season goose hunters did well over the opening weekend with limits taken. A frequent visitor to the local state park was found altering his annual vehicle park permit to squeeze out a couple of extra months, however his efforts failed. Enforcement action was taken on no small game license, unplugged shotgun, uncased firearm, no HIP certification, no angling license, no state park vehicle permit, PWC violations, transport of aquatic macrophytes, OHV trespass and a number of ATV violations. CO Matt Frericks (Virginia) checked wild ricing activity on Virginia area rice lakes. Ricers appear pleased with this year’s rice crop. Follow up investigation was performed on litter and dumping issues. CO Frericks checked early season goose hunters. One group of seven hunters took their limit in less than an hour on opening morning. Enforcement action was taken on other goose hunters for no state or federal stamp and no PFDs. CO Frericks would like to remind all sportsmen and women that it is not the responsibility of the clerk at the convenience store to know what licenses you need. It is solely your responsibility. The excuse, “I didn’t know I needed that,” is not an excuse. CO Mark Fredin (Aurora) worked a lot of bear hunting and bear baiting activity throughout the week with a violation of failure to register bait station, no ID at bait, and baiting with solid waste. Time was spent checking some early goose hunters who reported seeing very few geese. Wild rice is ripe and many are out getting full bushels. The officer received a report of wolves in an area and farmers missing calves. Fredin was given a gelatin substance that was found attached to a boat lift; the substance will be looked at by water specialist. CO Sean Williams (Ely) reports the holiday weekend was extremely busy with angling, recreational boating, bear hunting, and ATV use all in full swing. Nuisance bear reports also have picked up once again with a number of issues outside of Ely being reported. Violations included: operating an unregistered ATV, and operating an ATV on a public roadway without a driver’s license. CO Darin Fagerman (Grand Marais) checked people fishing, bear hunting, ATV’ing, boating, kayaking and canoeing during the week. A commercial operator was found hauling water from an infested water body. Bear hunters are reporting mixed results and are not happy with the July-like temperatures they’ve had to deal with during the first week of the season. Many bear hunters are reporting wolves visiting their bear baits on a daily basis. Bear complaints are still coming in and they seem to be everywhere as the CO has seen more bears this year than ever before while driving around. Enforcement action was taken for transporting infested waters, and for fishing without fishing licenses. CO Mary Manning (Hovland) checked bear hunters and bear bait stations. Numerous hunters have opted not to register their bait stations this season; paperwork will be sent to many of these individuals. Nuisance bear calls continue to the officer and to DNR Wildlife. Based on a couple of these calls the officer would like to remind folks: young animals need to left alone to return to the woods and should in NO CASE be fed or offered human food or food waste. This guarantees they will be nuisance animals and increases the likelihood of the animals being euthanized for that reason. CO Anthony Bermel (Babbitt) worked bear hunting, angling, and ATV enforcement. Several ATV contacts were made with enforcement action taken for illegal juvenile operation, expired registration, operating on roadways without a driver’s license, and no OHM registration. CO David Schottenbauer (Silver Bay) worked area bear hunting activity. Many hunters were successful early. Time was also spent working ATV, and boating activity during the holiday weekend. CO Thomas Wahlstrom (Tofte) spent the week checking bear hunters, ATV riders and anglers. The Officer worked a detail on Lake Superior with Officer Schottenbauer. CO Randy Patten (Northome) spent most of the week monitoring bear hunting activity, also patrolled for illegal ATV activity, and responded to a lost hunter call. CO Mike Fairbanks (Deer River) checked anglers, investigated aquatic plant removal complaints, worked bear hunters, monitored early goose activity and assisted the county with a suicidal male. The walleye bite has picked up on area Lakes. Enforcement action was taken for waterfowl stamp violations, no license in possession, operate ATV on roadway and no plug. CO Sarah Sindelir (Grand Rapids) spent time following-up with bear hunting complaints and activity involving the illegal use of motor vehicles in a state forest classified as limited. Driving off a signed forest road is illegal in a limited state forest unless the trail is posted open. Exceptions do apply during the months of September through December, refer to the hunting and trapping regulations. She also worked boating activity over the Labor Day weekend. CO Thomas Sutherland (Grand Rapids) worked early goose opener with many individuals getting out to try one of the first hunting seasons of the year. Enforcement action was taken for hunting without a state waterfowl stamp, hunting without a Federal waterfowl stamp, hunting without small game license and for not having a plug in a gun hunting for waterfowl. Action was also taken for angling without a license over the weekend. CO Gary Lefebvre (Pengilly) worked fishermen, bear hunters, ATVs, state parks and goose hunters. He also handled various complaints during the week. CO Shawn Wichmann (Hill City) spent the week working bear hunting activity. Wichmann also worked fishing and ATV activity. Numerous phone calls were answered and a car/deer possession tag was issued. CO John Velsvaag (NE Region ATV officer) checked bear hunters and ATV’ers this past week. CO Velsvaag also assisted with a TIP complaint and took calls on boating and ricing regulations. CO Velsvaag found several ATV’ers in areas closed to motorized use and took enforcement action. CO Kipp Duncan (Duluth) spent several days working bear country patrolling and checking bear hunters. Bear hunters had reported good success over the first week of the season. Many people were out using ATVs over the holiday weekend with the most common violation encountered being operating on the road. Time was also spent working fishing and boating enforcement on area lakes. A couple groups hunting geese, reported minimal success. Several bear and wolf complaints required investigation and follow-up. Officer Duncan also assisted the local SO on a couple calls for service. CO Jeff Humphrey (Cromwell) received calls and complaints on nuisance animals, unlawful ATV use, bear bait registration, ricing, early goose season and trapping. Humphrey assisted in an OHV work detail in Pine County over the holiday weekend. Bear hunters and baits were checked throughout the week. Several OHV violations were encountered. CO Scott Staples (Carlton) attended the state fair and assisted with two K9 demos and talks. Help was given at a detail throughout the weekend in the Nemadji and General Andrews state forests. Numerous contacts were made for ATV and off-highway motorcycle violations. A tip call was responded to where people were suspected of shooting ducks on an area lake. Without any proof and the suspects denying it, there was no way to prove that it happened. A citation was issued for an ATV violation that was observed while looking for the suspected violators. A person was contacted in the Nemadji State Forest while he was taking wood. It was determined that he did not have a permit. A follow up will be conducted with the area forester for any further enforcement action. Some bear hunting activity was checked in the area but not a lot of hunting activity was found. CO Michael Scott (NE Region Water Resource Officer) worked at the state fair during Military Appreciation day staffing DNR booth to assist military veterans with job searches in the DNR in Enforcement as well as other divisions within the DNR. Many veterans were talked with and several that stated they will be pursuing a career path with the DNR. Officer Scott checked anglers and boaters in the Duluth area over the weekend. Inclement weather kept lots of folks off area lakes but those that were out were enjoying themselves. Sgt. Keith Olson (Marine Unit) checked anglers and boaters on Lake Superior. The warm weather had many out on the water. Olson responded to bear complaints, worked commercial operations along the North shore and checked bear hunters in the Duluth and Grand Marais areas. He attended training with the St. Louis Co. Sheriff’s Office on Lake Superior. Enforcement actions were taken for extra lines and no fishing license. CO Matt Miller (Marine Unit) checked bear hunters and ATVs on the busy holiday weekend. Assistance was given to local agencies with traffic crash response, and training was attended for use of an underwater ROV from the Lake Superior patrol boat for item and drowning recovery. Seasonal movement of watercraft completed. Enforcement action was taken for bear and ATV violations. CO Patrick McGowan (Pine River) reports a busy holiday weekend on Crow Wing County lakes. CO McGowan also patrolled for goose hunters, and assisted at Camp Ripley for training. Enforcement action was taken for multiple boating violations. CO Karl Hadrits (Crosby) reports activity including working the bear and early goose season openers, checking wild rice harvest and fishing activity, and patrol of the Crow Wing State Forest and Cuyuna Country State Recreational area. Enforcement contacts were made for hunting geese without a license or federal stamp, illegal camping in the rec area, and miscellaneous boating equipment violations. CO Amber Peterson (McGregor) spent time at Camp Ripley assisting with training for Academy 16. She also continued to work bear bait cases, an ATV trespass violation and an ATV through a wetland violation. CO Tim Collette (Pequot Lakes) checked bear hunters, ricers, anglers, and ATVs. Calls of possible fish overlimits, commercial minnow dealer violations, and nuisance beaver complaints were fielded. Violations included illegal cross country ATV travel in a limited state forest, unregistered bear baits, hunter interference/harassment by placing signs attempting to keep other hunters out of a public area, allowing illegal juvenile ATV operation, and several angling without licenses, including a launch on Leech Lake where nearly half of the anglers on board were without licenses. CO Bob Mlynar (Aitkin) worked bear hunting, angling and boating enforcement during the week. A TIP call resulted in enforcement action for no angling license, wanton waste, false application for a husband/wife license and take fish in closed season. CO Jim Guida (Brainerd) worked sport fishing and all-terrain vehicle enforcement. Training was completed at Camp Ripley. Station bear hunting activity appeared to be nil as the evening temperatures were unseasonably warm and a large amount of acorns have dropped. A trespassing complaint was addressed and a gill net was seized from an individual who was using it to attempt to take fish. According to the violator, the net was made in Mexico where it was legal to use. He also said that it was a gift from his mother and was usually displayed as a decoration on the wall of his restaurant. CO Greg Verkuilen (Garrison) worked lake activity over the holiday weekend including anglers, water recreation, and looking for invasive species as boats came out for the season. Hunting activity was monitored as bear, goose, and dove season get started. Verkuilen also followed up on weed roller permits and assisted with the hiring process for new Conservation Officers. CO Scott Fitzgerald (Malmo) reports assisting with teaching new Conservation Officers at Camp Ripley during the week. The Officer gave a law presentation to a local bear guides hunters and many big game law related questions were fielded. Time was spent checking on some bear baits and hunters and ATV activity was monitored throughout the Malmo station. The Officer participated in a holiday weekend ATV work detail in a neighboring station where ATV, OHM, bear hunting and forestry violations were monitored. Calls regarding questions related to wolf activity and permits for car hit animals were fielded throughout the week and weekend. Enforcement action for the week included various ATV violations. CO Dustie Speldrich (Willow River) attended a monthly LEMA honor guard meeting. She received several questions throughout the week regarding deer hunting season. Speldrich followed up on a shining complaint where a farmer reported a vehicle shining a fenced in pasture with a spotlight. The suspect and his passenger were interviewed and issued a citation for the violation. Speldrich participated in a Labor Day Weekend ATV/bear hunting detail. Violations detected included transporting loaded firearms on ATVs, off trail travel in a limited state forest, operating a motor vehicle in an area of limitations, no bear bait signs, bear bait registration issues, operating ATVs two abreast on a public road, operating on an ATV on a county road and operating without an ATV on a county road without a valid driver’s license. CO Bret Grundmeier (Hinckley) spent part of the week instructing at the Conservation Officer Academy at Camp Ripley. Station activity included checking bear hunters, goose hunters and patrolling for ATV activity during the busy holiday weekend. State forest areas were very active with bear hunting and ATVing activity. Trespass calls during the early goose opener were handled and a few hunters were found not following bear baiting regulations. Some off-highway vehicle registration violations were found along with some parents that allowed their kids to unsafely ride ATVs and dirt bikes out on the roadways. CO Eugene Wynn (Pine City) spent a majority of the week checking bear hunters, and working ATV enforcement. He also issued nuisance beaver permits, and spent time checking anglers around Pine City. Over the Labor Day weekend, time was focused on OHV enforcement in the Chengwatana State Forest. Enforcement contacts included operating in posted closed areas, operating OHMs off designated trails, too many passengers, youth without helmets, and equipment issues. CO Keith Bertram (WREO) spent the week working AIS in Todd, Morrison, and Douglas counties. Enforcement action was taken for AIS violations, extra lines, insufficient boat safety equipment, and ATV violations. A few goose hunters were also checked with poor success reported. CO Caleb Silgjord (Sauk Centre) spent time during the week checking anglers and monitoring boating activity. CO Silgjord assisted with instruction for Academy 16, where candidates went through night time angling scenarios. Time was spent answering questions at the info desk at the State Fair. CO Silgjord also provided assistance to the Todd County Sheriff’s office with a suspect that had fled deputies in a motor vehicle. ATV activity was monitored during the busy holiday weekend. One operator was stopped after the officer noticed his two juvenile passengers were without helmets and the machine was not displaying registration. The stop revealed the operator also had an open container of alcohol. Enforcement action was taken. The illegal destruction of emergent vegetation on an area lake was reported and investigated. The officer found a large growth of cattails and bulrushes had illegally treated with chemicals. The investigation is ongoing. Other violations for the week included operate PWC after hours, no angling license in possession, illegal youth operation of a class 2 ATV, allow illegal operation of an ATV, and youth passenger without a helmet. CO Chad Thesing (Albany) spent the week at Camp Ripley, teaching angling enforcement to the new Conservation Officers. Time was also spent on checking goose hunters, anglers, and boaters. A trespass investigation was conducted involving neighbors and lake access. CO Paul Kuske (Pierz) reports recreational activity on the lakes was very busy this past week / weekend. Complaints involving jet-skis were handled on several lakes as well has watercraft operating without navigation lights after sunset. A fire investigation was conducted in which a structure was burned illegally under an unauthorized burning permit. CO Kuske worked complaints of ATV’s operating illegally on public highways, operating in the lane of traffic like a car instead of the ditch or shoulder where the law requires. Reports of numerous bears being sighted throughout the area but very few people hunting them because of lack of permits. CO Kuske received a trespass call involving goose hunters. Time was spent conducting equipment maintenance on watercraft and computer issues. A law presentation was given to a firearms safety class. CO Kuske spent time at public access sites inspecting boats for AIS as lake residents began taking their water related equipment out for the season. CO Rhonda Friese (Long Prairie) taught the law portion for an Amish FAS class. Nuisance beaver permits were issued for road authorities. Hunting activity was a bit slow. Water recreation and angling activities were moderate. ORV activity was busy. CO Friese attended a Todd SWCD TEP meeting. CO Joyce Kuske (Little Falls) investigated a litter complaint where a large amount of garbage/furniture was dumped on a minimum maintenance road. CO Kuske assisted the Morrison County Sheriff’s Department with locating a suicidal person and assisted a neighboring Conservation officer on a search warrant for illegal fish at a rental cabin. A dogs chasing deer complaint was handled with the dogs owners found and enforcement action taken. The dogs were found to be the same dogs that had killed a fawn a year ago in the neighborhood. Labor Day weekend found ATVs out in force. One group that was stopped had two youth ages seven and ten on separate ATVs that the parents were illegally allowing them to operate ATVs in the road right of way. CO Brian Mies (Annandale) checked anglers. CO Mies checked goose and dove hunters. CO Mies assisted neighboring officer with a turtle investigation. CO Todd VanderWeyst (Paynesville) worked on commercial turtle investigation with a neighboring officer with charges pending. The officer found a few goose hunters out and having some early season success. The officer also fielded calls in regards to waterfowl hunting and some administrative duties. CO Angela Londgren (Cambridge) worked an ATV detail in Pine County, checked bear and goose hunters, patrolled local lakes, and had ride-alongs. Enforcement action was taken on: angling without a license, unsigned bait, operating an ATV on an unauthorized trail, PFD/fire extinguisher/registration violations. CO Tony Musatov (Sauk Rapids) worked goose hunters and ATVs. Violations were found for illegally operate an ATV on the road, no helmet, no safety training, illegally operate with passengers, and no registration. Aquatic plant management permits were checked and a trespass was handled. CO Brandon McGaw (Mora) instructed at the academy during the week. Some time was also directed towards bear hunting and ATV patrol. Warm weather slowed bear hunting and participation. Enforcement action was taken on unregistered bear bait station, burning of prohibited materials, allow juvenile to violated game and fish laws and operate an unregistered ATV on a county road with a passenger under 18 not wearing a helmet. CO Todd Langevin (Center City) spent the week participating in the interview panel for applicants applying for the academy scheduled to start in 2016. CO Rick Reller (Buffalo) assisted with training at the CO Academy most of last week. Reller also checked goose and dove hunters over the weekend. Several complaints were also investigated. Enforcement action was taken for no small game license, no APM permit for a weed roller, and wanton waste of mourning doves. CO Steve Walter (Waconia) returned calls daily on hunting season questions. He worked the dove and goose opener finding quite a few people hunting but having mixed success. Anglers and boaters were checked on area lakes and rivers. CO Brent Grewe (Osseo) spent the week checking anglers, Goose hunters and worked an ATV detail in Pine County. CO Grewe answered questions about the upcoming deer season and helped resolve some nuisance animal complaints. Violations included license issues and litter. CO Chelsie Leuthardt (Prior Lake) had a busy week checking hunters during the mourning dove and early Canada goose openers. Take numbers were low and many hunters seemed to attribute the low bird numbers to the hot weather. However, she did see hunters having at least some success with doves, Canada geese and crow. Leuthardt investigated a TIP of a possible over limit of geese and answered questions regarding the open seasons. She also worked at the Minnesota State Fair in the DNR building where she answered dozens of questions about hunting, recreational vehicles, trespassing and more. Enforcement action was taken on operating an ATV without safety training and failure to register an ATV. CO Vang Lee (ELCOP) worked anglers and boaters in the Mound station. He worked the goose opener and participated in an AIS detail at Medicine Lake. He also took care of some equipment maintenance and took calls on duck and big game hunting questions. CO Thephong Le (ELCOP) checked hunters in Carver County with CO Walter for the 2015 Early Goose Opener. He assisted at Camp Ripley for the new Conservation Officer hiring process. He took enforcement action for several violations involving early goose season hunters. Conservation Officer Tony Salzer (Ham Lake) patrolled Anoka County for angling activity. Boating activity was down over the hot weekend but picked back up on Labor Day. CO Salzer also patrolled for goose hunters in Anoka County. CO Lisa Kruse (White Bear Lake) had site inspections with the area hydrologist and aquatic plant management specialist regarding an illegal sand blanket case and various aquatic vegetation cases on White Bear Lake. She worked AIS enforcement at area accesses and checked goose hunters in Anoka County. CO Kruse worked boating and fishing enforcement on area lakes and handled nuisance animal calls. Violations included extra lines, keeping walleye and bass in pool two of the Mississippi River, expired boat registration, insufficient number of PFDs, no fishing license, produce wake in a slow no wake area, fishing license not in possession and unattended line. CO Scott Arntzen (Forest Lake) reports working the early goose opener and patrolling area lakes for boating and fishing activity. CO Arntzen investigated a shoreline violation, patrolled the wildlife management areas and assisted a neighboring law enforcement agency with a suspicious person. Violations for the week included no federal stamps, target shooting in closed area, transport aquatic vegetation, no license in possession and a warrant arrest. CO Joe Kulhanek (Hastings) spent a busy holiday weekend checking boaters on the river. Dove and early goose opener brought many people into the fields. Success for doves was very good early and numbers in the bag dwindled as the week progressed. Enforcement action for the week included, hunt migratory birds with unplugged shotgun, trespassing on agricultural land, target shooting on a WMA, various boating and angling violations, as well as made a warrant arrest. CO Vuthy Pril (ELCOP) checked goose and dove hunters around the metro wildlife management areas and fields. He continued to check anglers around the metro lakes and rivers. CO Pril also spoke at a firearms safety class in Rosemount and responded to miscellaneous animal calls and hunting questions. CO Matt Loftness (Marshall) assisted Lyon County Sheriff’s Office with a search for a 2- year-old girl that walked into a corn field west of Marshall. Multiple agencies and fire departments assisted and the toddler was located with no injuries. Fall hunting openers have begun with the start of the September Canada goose and mourning dove seasons. Dove hunters have had good success. Fishermen continue to wait for the fall walleye bite to start. A few walleye are being caught on Lake Benton and Lake Sarah. CO Doug Lage (Marshal) conducted his weekly radio show on KLOH Radio. The Officer issued a Restoration Order in Lincoln County. Several ATV registration violations were dealt with. A search for a lost child in Lyon County had a happy ending after several departments came together for the search of a corn field. Activity was very heavy on area lakes. CO Craig Miska (Ortonville) checked AIS, angling, boating, and OHV activity during the week. Commercial minnow dealers were also checked. CO Jim Robinson (Slayton) spent the week working boat safety and checking dove and Canada goose hunters. Goose numbers seem down from recent years. A freezer full of rotten raccoons was discovered dumped on Mariah WMA. WREO Larry Hanson (Southern Region) checked water related equipment on area lakes and rivers, and checked dove and goose hunters. K-9 demonstrations were also completed during the State Fair and assistance was given to the local sheriff’s department in locating a child lost in a cornfield near Marshall. CO Jeff Denz (Willmar) worked the holiday weekend and focused on boating, ATV, fishing, and AIS activity. Addition time was spent checking goose and dove hunters. Denz also received multiple nuisance beaver complaints and followed up on a trespass complaint. CO Nicholas Klehr (Litchfield) spent the week following up with beaver complaints and aquatic plant management issues. Klehr spent time at the public water accesses checking boaters enjoying the warm weather while it still lasts for the summer. A few boaters were reminded on how important it is to look at the boat and trailer and remove weeds before leaving the accesses. Other activity for the week included checking dove and goose hunters and ATV activity. CO Brett Oberg (Hutchinson) worked the opening to the September goose season. Thunderstorms got the opening morning off to a slow start but some hunters were still able to bag birds. Enforcement action was taken for license violations, and Oberg would like to remind hunters it is their responsibility to know what licenses they need, not the store clerks. Oberg was also at Camp Ripley helping new COC’s pass their firearms qualifications. A talk was also given to a firearms safety class at Gopher Campfire. Calls were followed up on regarding licensing questions. CO Thor Nelson (New Ulm) investigated a complaint of damage to DNR property. He received calls regarding goose hunting regulations. Nelson spent time on goose hunting, fishing, AIS and ATV enforcement. A number of goose hunters contacted had not purchased federal and state duck stamps. Few goose hunters were successful on opening weekend. CO Mike Gruhlke (Jackson) worked sport fishing, small game hunting (dove and goose), boat and water enforcement, and AIS. Gruhlke completed his radio program with KKOJ/KRAQ discussing topics including the dove opener and the September goose season. He also reminded folks about the AIS law as we approached the holiday weekend. Dove hunters had success throughout the county and the goose hunting was a bit more limited as it seems as though the numbers are down. CO Eric Schettler (Fairmont) worked migratory game bird and waterfowl hunting activity. Temperatures were not favorable for hunting with high humidity and temperatures. It was normal for hunters to be in shorts and no shirt. A variety of hunting offenses were documented in citations and warnings. Continuing education was completed. A public waters violation was followed up on after complaint from a concerned citizen. Angling, boating and invasive species work continues. CO Corey Wiebusch (Mankato) assisted with academy training at Camp Ripley this past week. Early goose season was worked. A complaint of dogs chasing deer was addressed. The officer also checked anglers on area waters. CO Luke Belgard (Faribault) worked angling, boating, and recreational vehicle enforcement. Numerous dove hunters were checked and many hunters are experiencing success. The goose season opener was slow with few hunters out due to the hot weather. An AIS checkpoint was worked in Shieldsville with district officers. CO Steve Chihak (Spring Valley) focused enforcement efforts for the week on angling, AIS compliance, and monitoring ATV activity. Time was spent working the early goose season opener, and boating safety over the weekend. Violations encountered were no Federal duck stamp and hunting without a special Canada goose permit. CO Chad Davis (Owatonna) checked anglers, boaters, and goose hunters. The officer assisted other district officers with an AIS check station. The officer responded to a TIP call of illegal goose hunting activity. Multiple violations were encountered regarding goose hunting and trespassing issues. CO Brent Ihnen (Waseca) spent his week checking anglers, boaters, ATV operators as well as dove and waterfowl hunters. CO Ihnen spent time at local public water accesses educating boaters about AIS rules and regulations. In addition, time was spent working the State Fair DNR information booth where he fielded a variety of questions from the public. WREO Julie Siems conducted K9 demonstrations at the state fair along with AIS education talks. A check station was also worked for AIS violations. CO Joel Heyn (Plainview) worked mainly anglers and goose hunters during the week. Goose hunting was slower with the heat making things pretty miserable. Anglers did well on the river and trout streams with limits and over limits seen taken. CO Phil George (Rochester) worked checking goose hunters, anglers, and watercraft users. Some AIS work was done and an OHM was encountered on the highway. A trespass complaint was investigated and a district meeting was attended. Many calls from the public were taken throughout the week with questions about the fall hunt. CO Scott Fritz (LaCrescent) reports receiving complaints of ginseng diggers trespassing. He worked public access sites enforcing invasive species laws. Finished up a case where raccoon were taken illegally. Bear damage to a corn field was reported by one a farmer. Bluegills, bass and catfish are biting well on the big river. CO Kevin Prodzinski (Wabasha) reports working a very busy holiday weekend and goose season opener. The big river was extremely busy as recreational vessels as well as fishermen enjoyed the last holiday weekend of the summer. Goose hunters were out in force and many geese were around but bag check revealed success was down a little from previous years. ATV and OHM issues were also encountered. CO Tyler Quandt (Red Wing) reports spending the week checking angling activity and answering numerous fall hunting related questions. Time was also spent responding to several nuisance animal complaints, working on an issue related to some illegal docks on Lake Pepin and meeting with a park manager about an upcoming special hunt. A few more fish are being seen in people’s livewells. CO Mitch Boyum (Rushford) reports checking a few goose hunters. Success was limited due to the heat and mosquitoes. Compliance was high. Time was also spent answering calls about the early antlerless season. A district meeting was also attended. A few ginseng hunters were also out and commenting about the mosquitoes and heat. CO Tom Hemker (Winona) reports a busy Labor Day weekend with limits of fish checked. The goose hunters had tough conditions with heat and bugs with very few geese in the bag. Hemker investigated an illegal dock complaint and received another call of a rattlesnake in a residence yard.